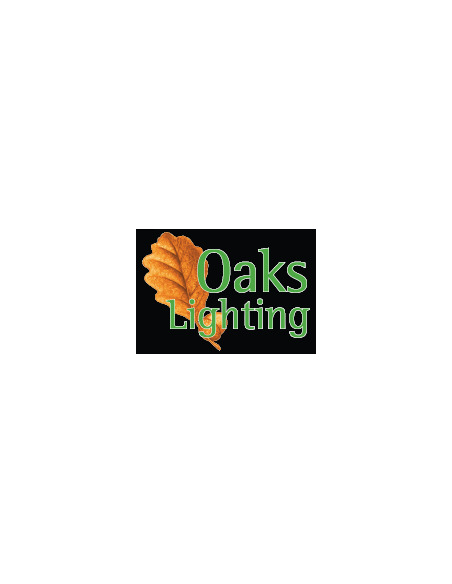 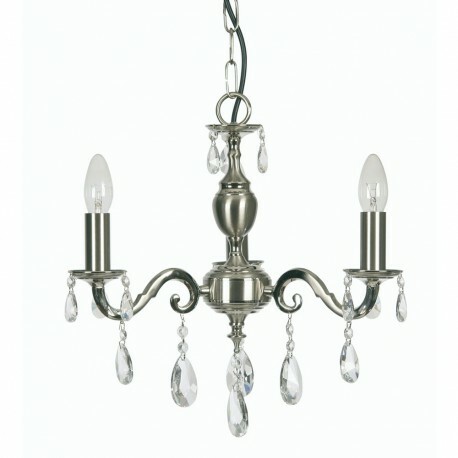 Risborough 3 Light Pendant - Hegarty Lighting Ltd. 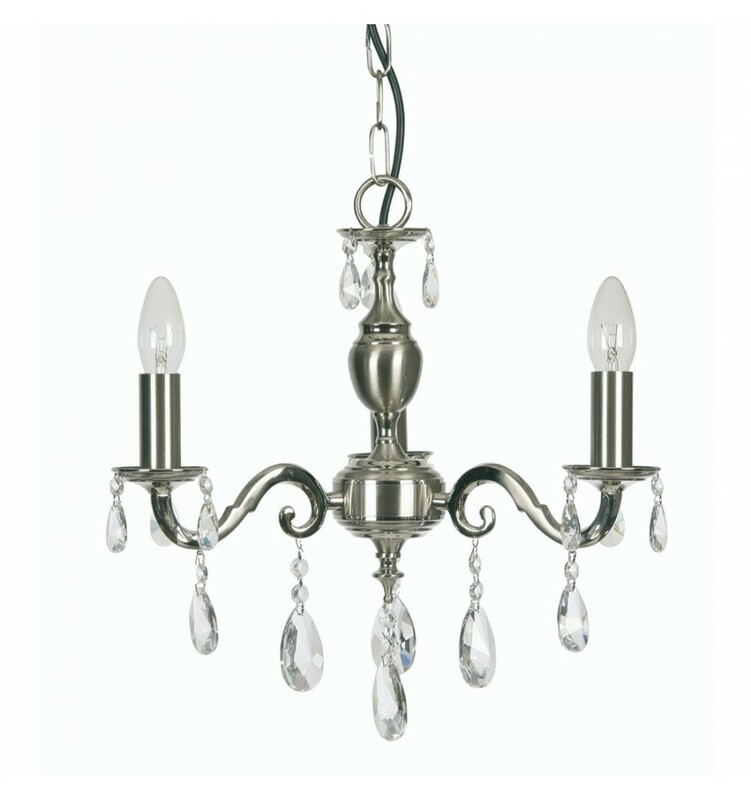 The Risborough Range is a quality cast brass family in a satin nickel plate finish, enhanced with 30% lead crystal drops. 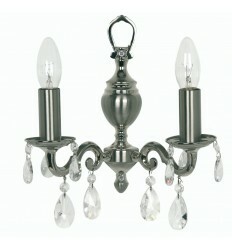 This opulent ceiling light fitting will add drama to any room. 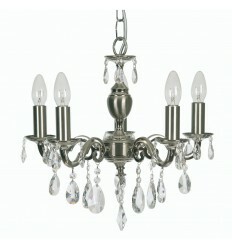 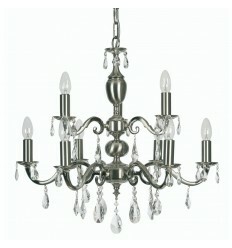 These lead crystals sparkle in the light for a dramatic appearance that matches perfectly with the satin nickel finish. 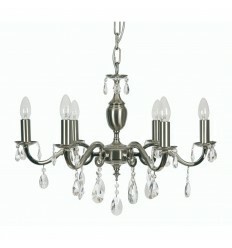 Available to order on this website in a choice of sizes.